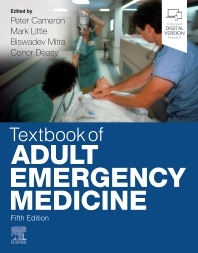 Since the first edition of Textbook of Adult Emergency Medicine was published twenty years ago, there has been enormous change in the way emergency care is delivered. This has occurred both in countries where emergency medicine was originally developed and in those where its application was limited because of cost. Emergency medicine is now perceived as the cornerstone of response to acute illness regardless of resources. This fully revised Fifth Edition provides clear and consistent coverage of this constantly evolving specialty. Building on the success of previous editions it covers all the major topics relevant to the practice of emergency medicine. The book will prove invaluable to professionals working in this setting – including nurse specialists and paramedics – who require concise, highly practical guidance, incorporating the latest best practice and evidence-based guidelines.